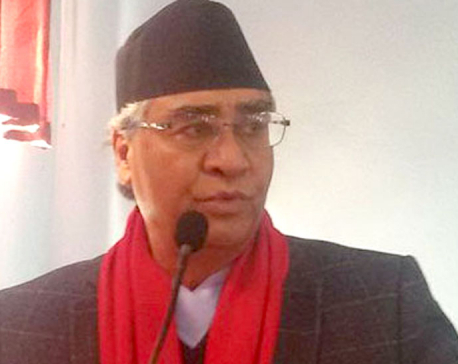 KATHMANDU, June 18: Prime Minister KP Sharma Oli and president of the main opposition party, Nepali Congress, Sher Bahadur Deuba have today held talks on resolving the dispute over the Legislature-Parliament Business Operation Regulations. The meeting held at the Prime Minister's official residence at Baluwatar was positive in regard to arriving at a consensus during discussions on the Regulations taking place in the Parliament on Sunday, PM's press advisor Pramod Dahal said. According to him, the two leaders talked on passing the Regulations on the basis of consensus. The Regulations is to be presented for discussions and its endorsement in the parliament meeting on Sunday. The ruling and the opposition parties have been sparring over the number of members on the Parliamentary Hearing Special Committee. 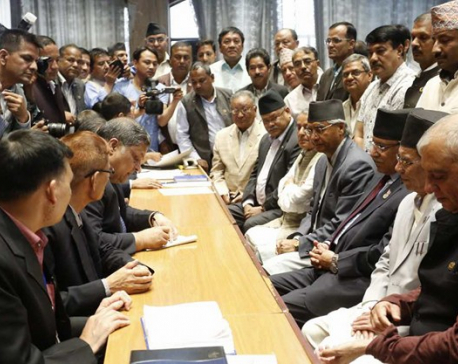 The ruling parties are sticking to a 15-member PHSC as per the new constitution while the main opposition party is pressing for a 75-member committee as per the erstwhile constitution.